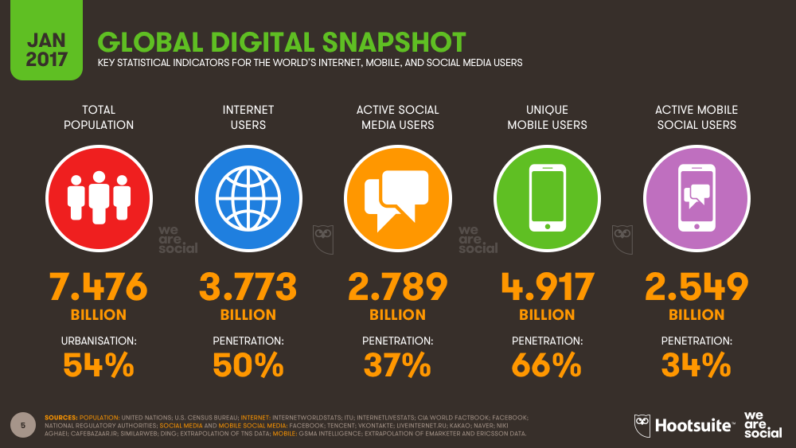 Over 16 million text messages are sent in one internet minute in 2017. Here’s one attempt to put it in perspective: imagine Yankee Stadium’s seats packed with 50,000 people, and multiply this by a factor of 40,000. That’s about how many different people log into Facebook every month worldwide. The Yankee Stadium analogy sort of helps, but it’s still very hard to picture. 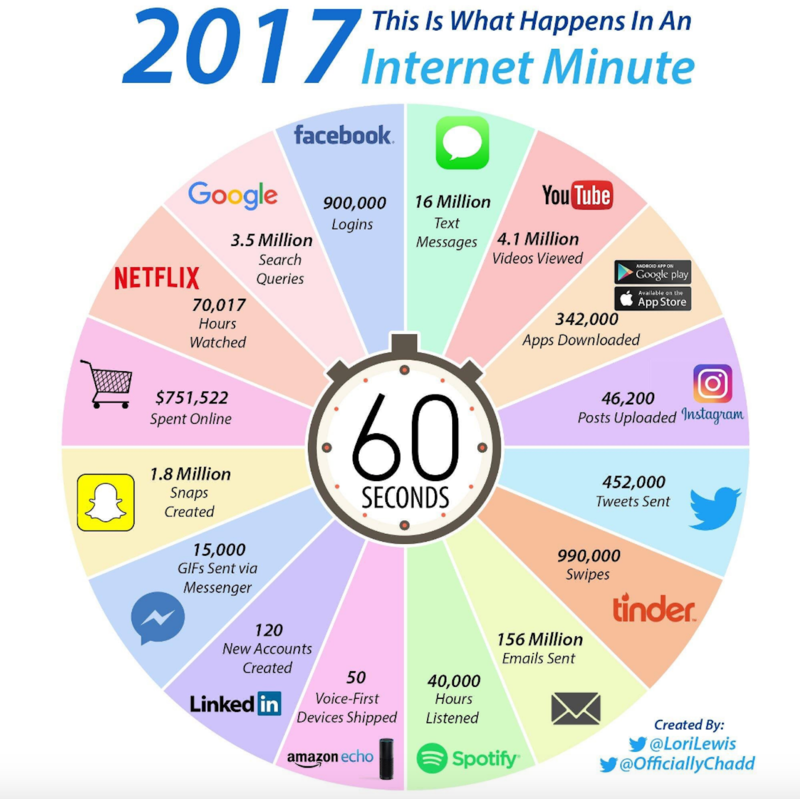 The scale of the internet is so great, that it doesn’t make sense to look at the information on a monthly basis, or even to use daily figures. Created each year by Lori Lewis and Chadd Callahan of Cumulus Media, the above graphic shows the incredible scale of e-commerce, social media, email, and other content creation that happens on the web. People look to the people they trust to see what’s already being talking about, which is why influencers are more important than ever to marketers. The never-ending challenge, however, is how to stand out from the crowd.